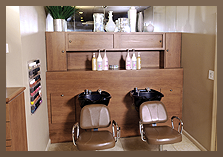 Artemisia Salon, established in 1999, is dedicated to making you feel and look your very best. 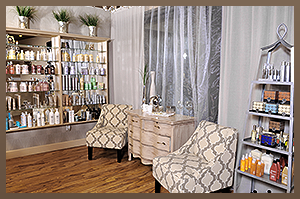 Artemisia is quiet, soothing, and beautiful – you’ll begin to relax the moment you enter our salon. From the wonderful aroma of Votivo candles to the soothing décor, come in, kick off your shoes, have a cup of tea and make yourself at home! We are dedicated to providing the ultimate in artistry while maintaining a warm and friendly atmosphere. Whether you are looking to simply pamper yourself or for a complete renewal, this is the place to be. Our experienced stylists are passionate about their work, expressing their creativity with each client. We are highly trained in both color and cutting. We will work with you to create your perfect look, accentuating your best facial features and complimenting your unique hair texture! 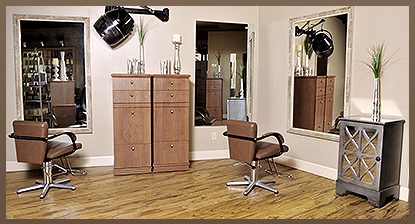 We offer cutting services for virtually any hair type: long, short, curly, straight, classic or edgy for men and women. Our hair coloring services include; all over color for brilliance and shine, Natural Highlightes, Boliage Highlighting for accent, or Ombre Hair Color for a dramatic look. Our specialty services include Coppala Keratin Smoothing Treatments, Hair Extensions by Babe and Special occasion hair styling. Look to our service menu to provide you with a more detailed description of the services we provide. 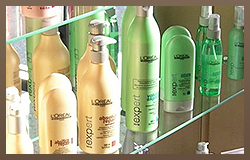 Ultimately, we give clients the hair they’ve always desired. Thank you for taking the time to explore our website, if you have any questions please feel free to email us here. If you would like to schedule an appointment or have questions about one of our treatments or products. Please fill out the form below and we will be in touch with you shortly.